Bollywood actress Nargis Fakhri doesn’t look at yoga in a reductive manner or as a form of cardio that will help her tone physically. 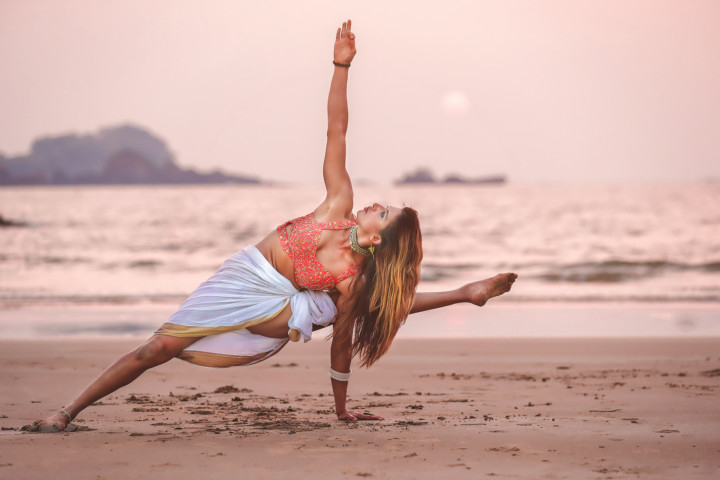 This former model, who will be in the UAE on February 1 to spearhead the two-day wellness event XYoga Dubai, considers yoga as a catalyst in bringing her inner peace, thus bolstering her overall mental well-being. “Yoga has always been a very internal process for me,” said Fakhri in an e-mail interview with Gulf News tabloid!. Her philosophy is simple: you can take over the world and take control of your life, one deep breath at a time. “Regardless of what’s happening around me, yoga helps bring everything into balance, recalibrating my mental make up on a daily basis. The asanas [poses] and pranayama [breathing exercise] provide a complete inside-outside approach to health which helps centres and redirect energy for the right purposes and necessary body part,” she added. The American-born Pakistani actress, 39, who’s something of a spiritual warrior, claims yoga also helps her enhance her strength. However, she gravitates towards yoga to attain mental peace. On Friday, Fakhri will be joined by yoga expert Deepika Mehta and star footballer Luis Figo for a session on Kite Beach at 7.30am. Like every fitness enthusiast out there, Fakhri is also a believer of mind over matter. “The mind is extremely powerful and without a strong and healthy mental state we can see our physical body deteriorate. The mind leads, the body follows. So, it’s important to be able to enjoy every posture in a way that it exercises every body part separately and also the breathing which is the workout and energy the mind needs.” Apart from the power of yoga being transformative, she believes in the power of sleep too. Mehta, who has trained Bollywood stars such as Aishwarya Rai Bachchan, Katrina Kaif, Deepika Padukone and Priyanka Chopra, is an expert at Ashtanga Yoga. She began her yoga journey after a debilitating rock climbing accident in 1998, which ended her dream of being a jazz ballet dancer. She’s also a master trainer on the Indian reality television show ‘The Biggest Loser’. Her Instagram account demonstrates her agility and her gravity-defying moves. “I came to yoga to heal myself after a terrible rock climbing accident I had in 1998. It helped me heal, gave me hope, empowered me and was the turning point in my life,” said Mehta over email. Her favourite postures include backbends and inversions such as headstands and handstands. She’s a social media superstar with 1.2 million followers on her Instagram account. She takes her yoga seriously and is an advocate of Acrovinyasa, a blend of traditional yoga postures and acrobatic flying. She began her yoga journey almost 20 years ago and was inspired to teach yoga to get out of the humdrum of her job that required her to be seated at a desk all day. The story is that she stumbled into yoga when she was babysitting 21 years ago at her sister’s home. Bored, she found a VHS tape on yoga and decided to try it. The rest is history. 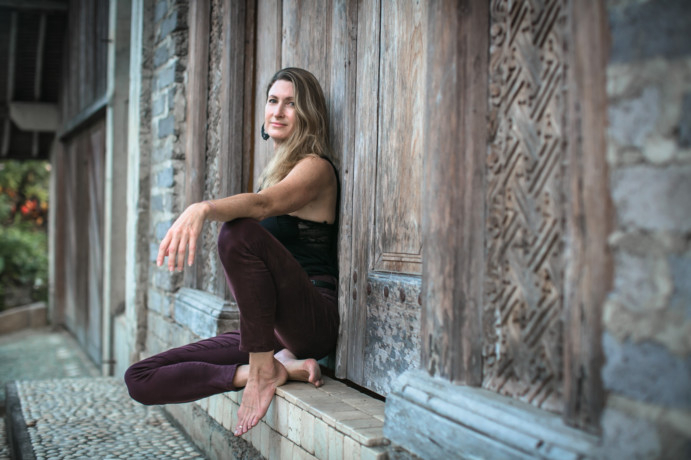 The California-born yoga instructor, based in Bali and San Francisco, has travelled to India to learn more about yoga. She’s an expert at immersions and retreats. “Chanting is a huge part of my practice, and in my classes and workshops we chant to open our hearts, release our voices, and connect to the community of divinely inspired beings all around us,” Stone wrote on her website. His signature Shiva Vinyasa and Shiva Power classes focus on improving concentration, balance, non-attachment, surrender and quieting the mind. He has taught yoga and led workshops in Los Angeles and the rest of the world for several years. He’s a stress-management expert and meditation teacher. He’s also the author of the book ‘Sacred Powers and Secrets Of Meditation’. 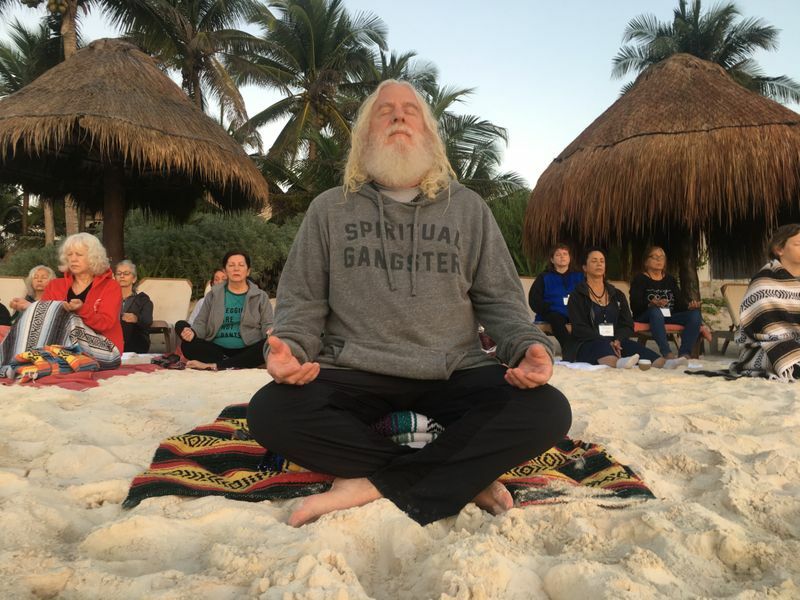 Often called a spiritual warrior, Davidji, who spent over two decades pursuing a career in business, finance and mergers, is credited with creating the 21-day meditation process. He also spent 10 years as American author Deepak Chopra’s apprentice and has trained more than 200,000 people to meditate. The certified vedic master is also an expert at helping people become more reflective and less reflexive. His teachings on stress release, conflict resolution, and mindfulness are now practiced in many of the top Fortune 500 companies. While Bollywood fans can practice yoga with Nargis Fakhri, there’s something for football fanatics too. Portuguese football legend Luis Figo is a part of XYoga Dubai too. He will join Deepika Mehta and Fakhri in the first session of the two-day festival on Friday. Regarded as one of the greatest footballers of his generation, Luis Figo has formerly played for Sporting CP, Barcelona, Real Madrid and Inter Milan. 63: The number of complimentary classes that will be offered during the two-day event. 2,500: The number of yoga enthusiasts expected for the first session. Nargis Fakhri will host a yoga workshop along with Deepika Mehta on Friday morning from 7.30-9am. It’s free to attend, but registration is required. For the full schedule go to xyogadubai.com.